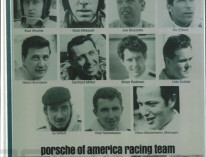 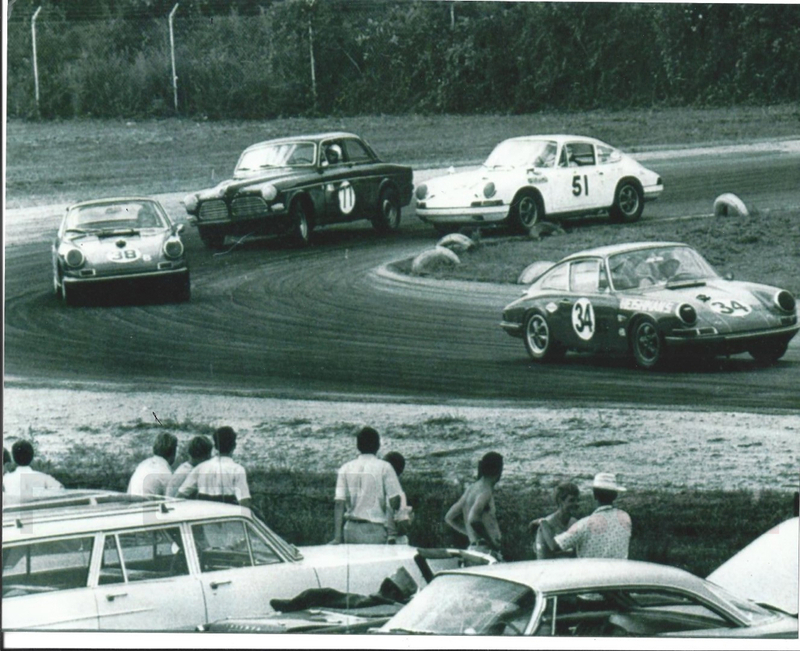 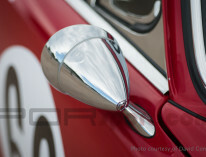 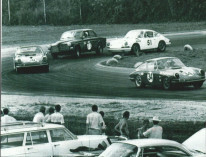 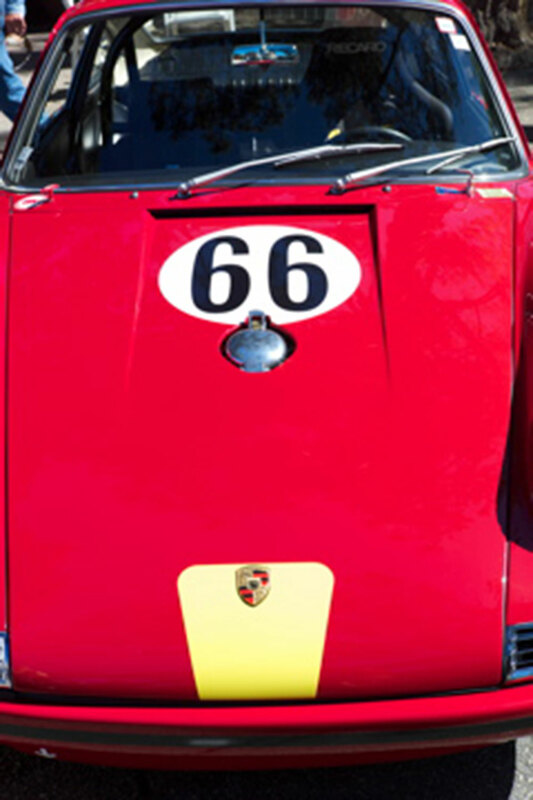 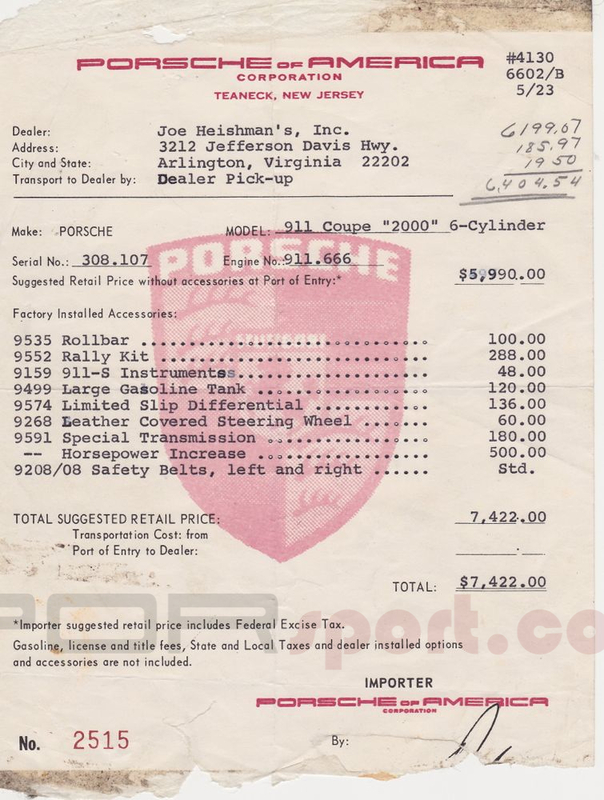 In 1967 Porsche created the "Sports Purpose Program." 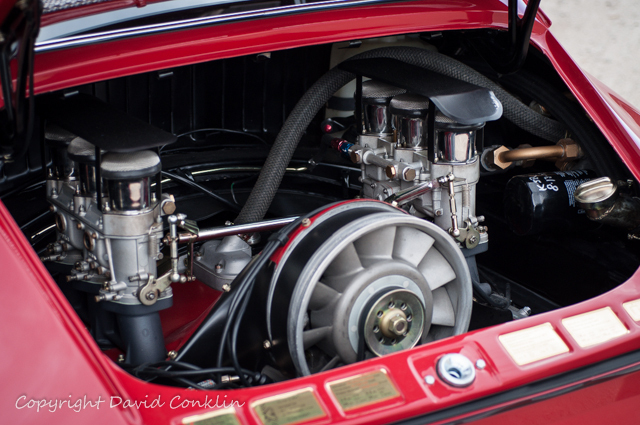 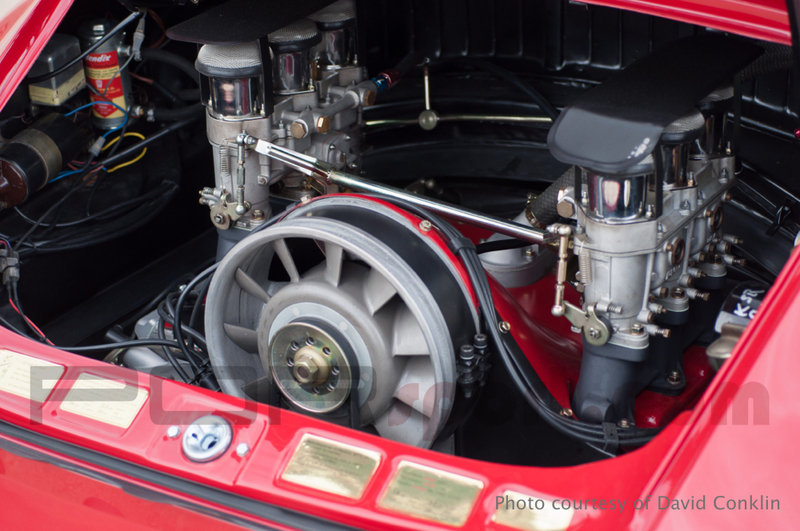 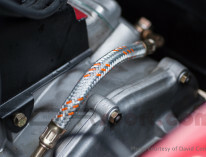 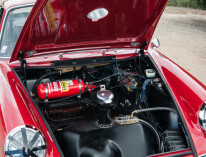 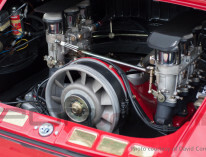 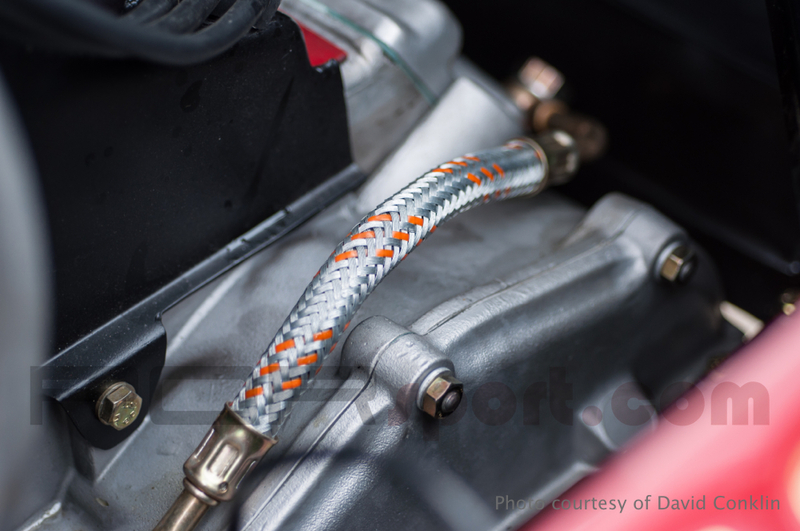 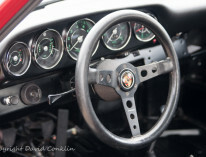 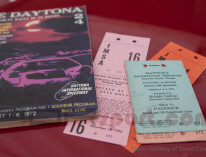 The idea was to make available to private Porsche customers specially prepared cars and parts for racing the fledgling 911. 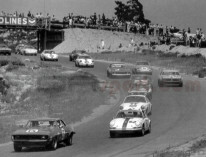 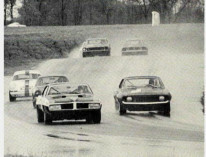 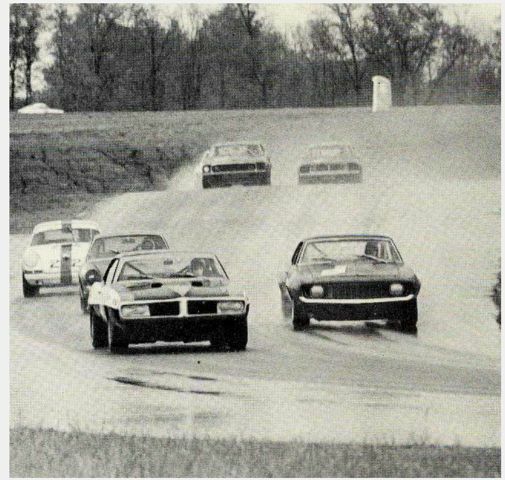 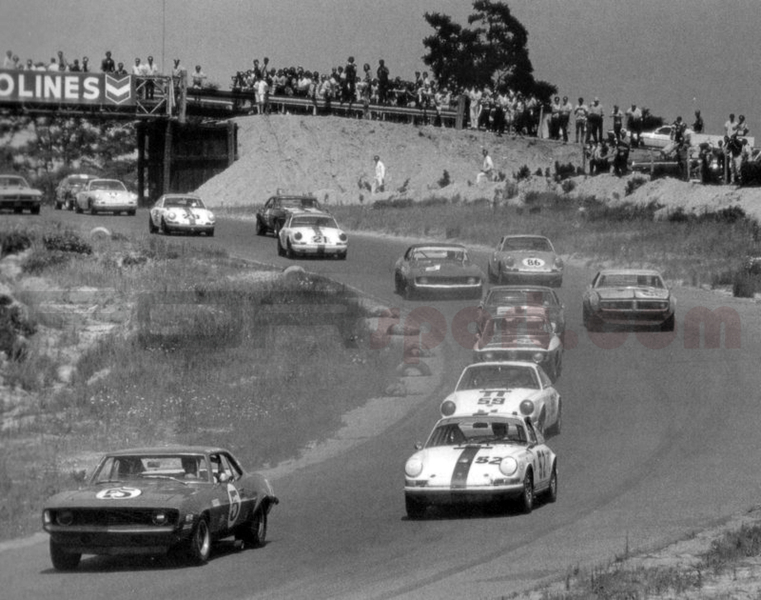 These cars were used in Europe for rallying and here in the US for road racing where they were often referred to as Trans Am cars. 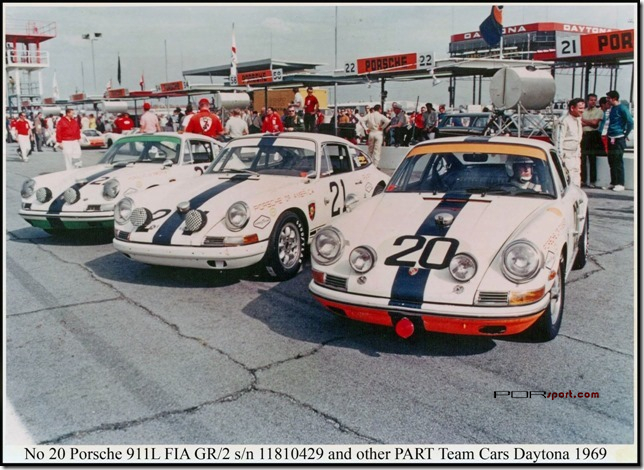 The 911 shown here left the Porsche Factory with the following options: Rally Kit, Roll Bar, Limited Slip Differential with Airport Gears, Lower Suspension, S Instruments, S Oil Tank and Large 100 liter Fuel Tank. 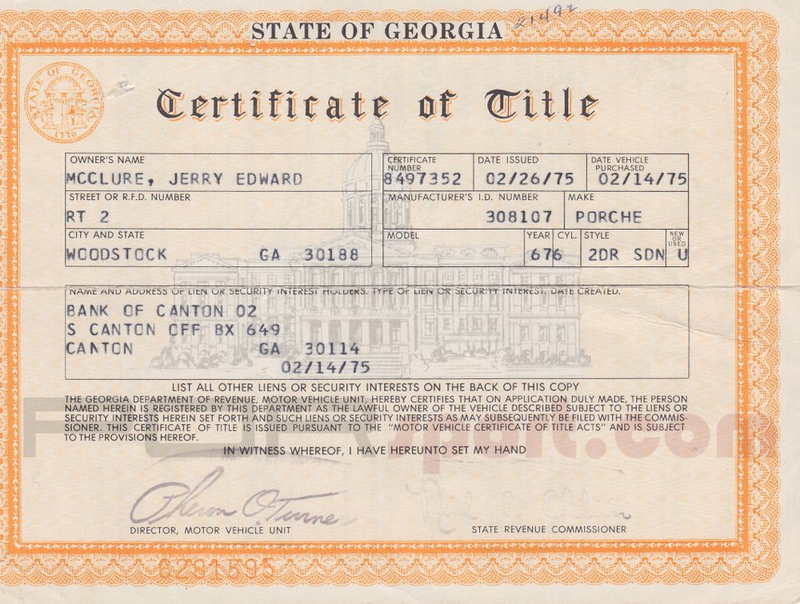 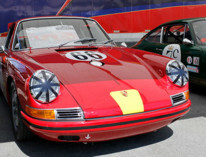 These options are consistent with other Competition 911s that were sent to the States in 1967-1969. 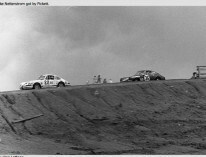 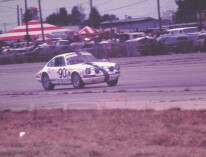 The car shown here has been a competition car since new. 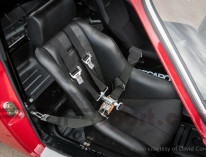 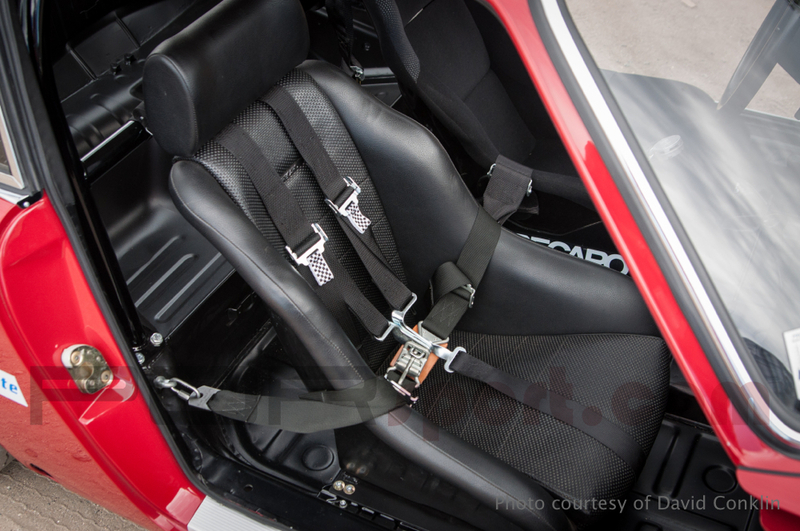 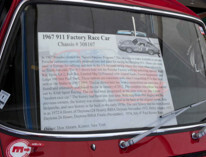 The car had been progressed, as the years went on, into a more "modern race car." 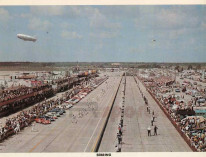 The history had been lost over time. 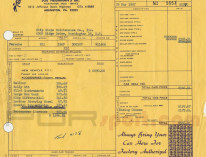 Through the previous owner we were able to determine the car's history back through the early 70's -- after that we were at a dead end. 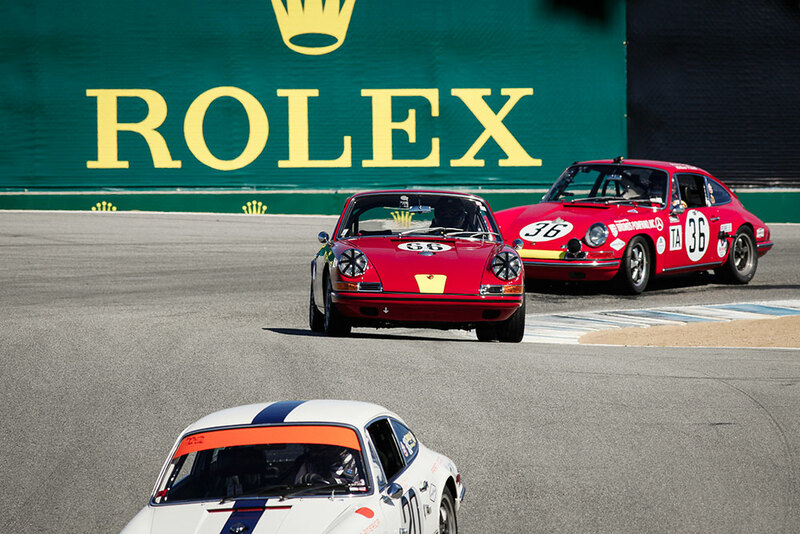 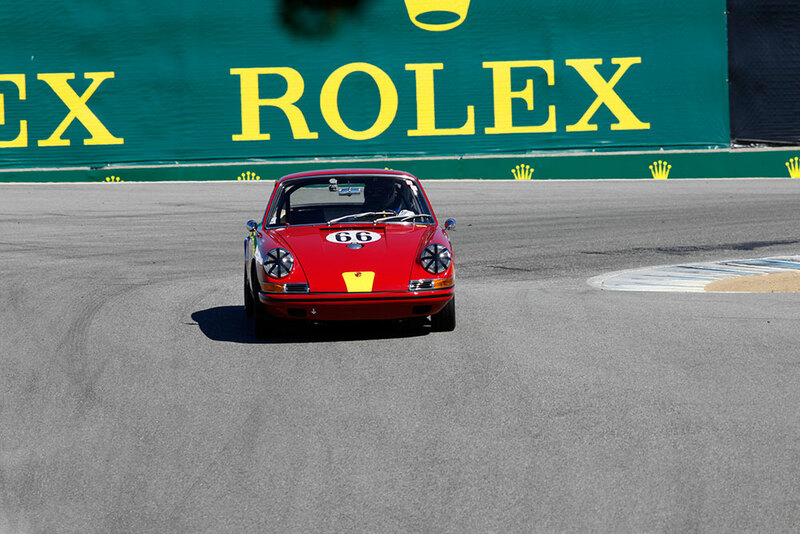 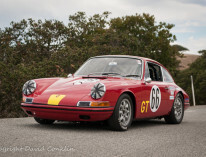 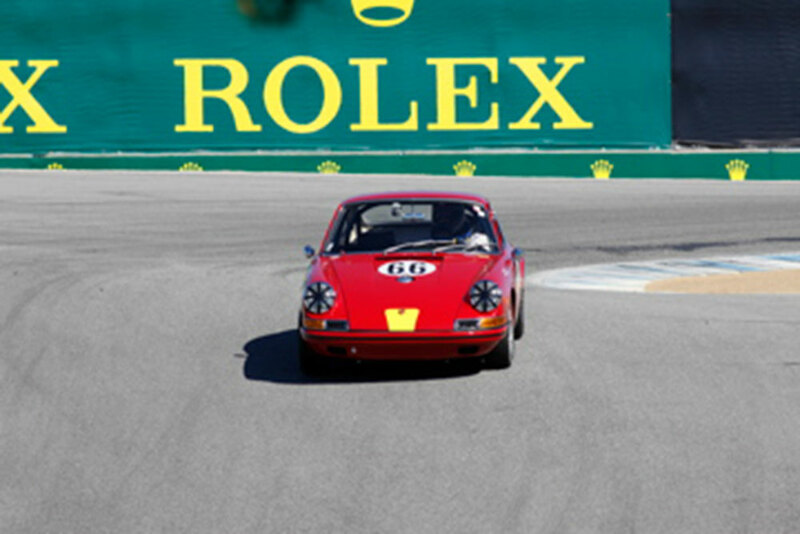 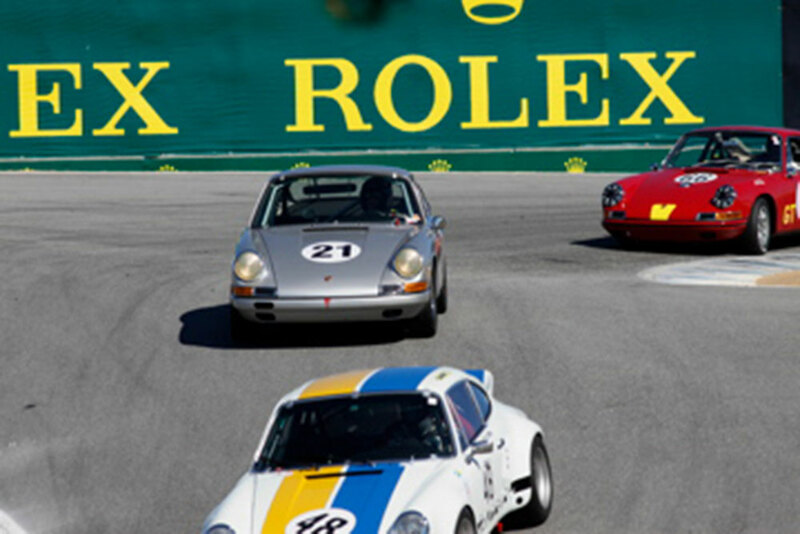 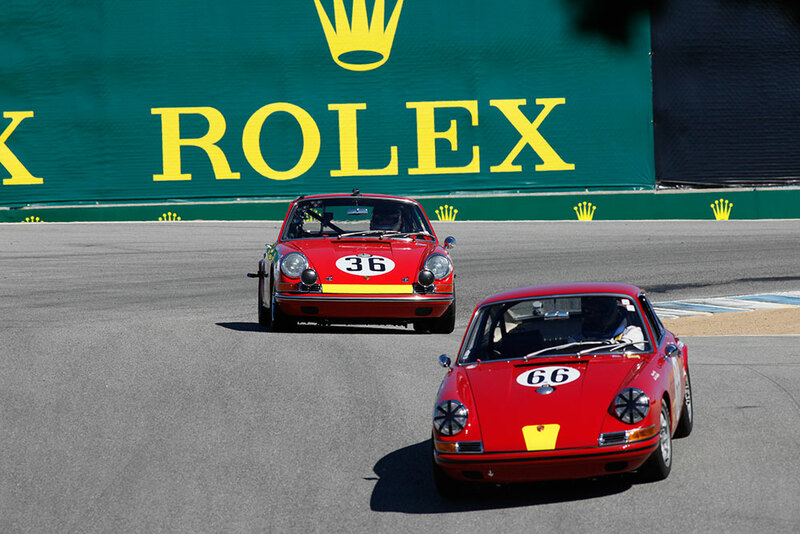 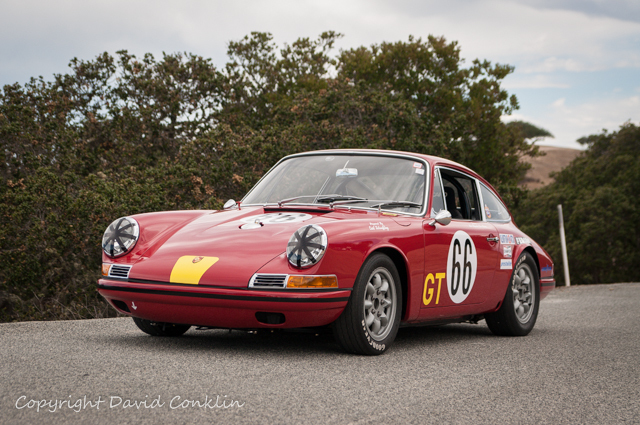 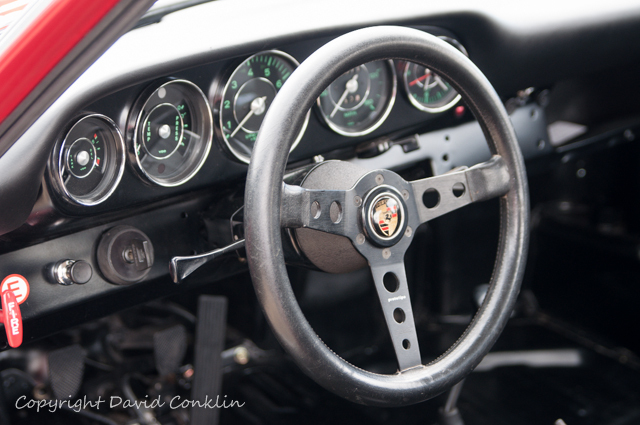 After my purchase and restoration the car was accepted for the 2013 Rolex Motorsports Reunion where it was photographed by Dave Conklin for an article in the January 2014 issue of Classic Porsche (click here to read). 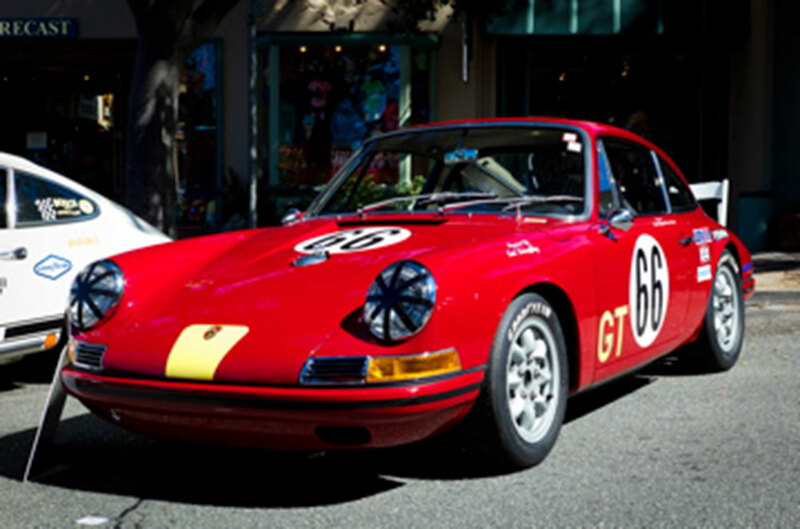 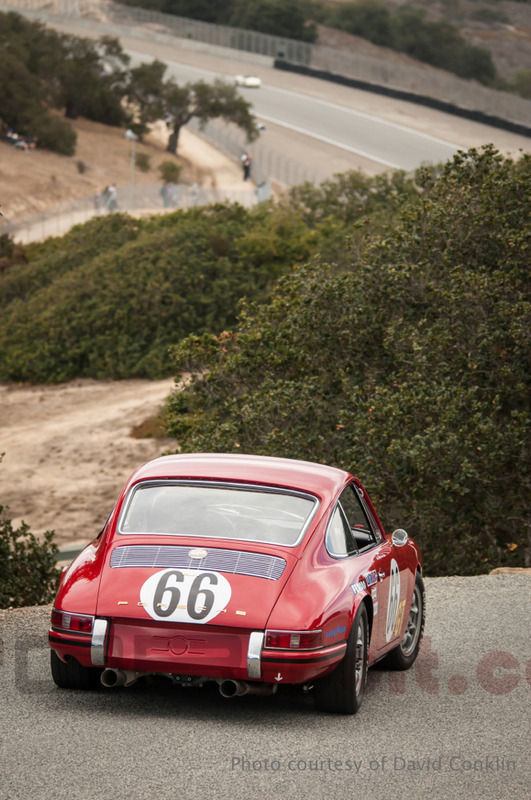 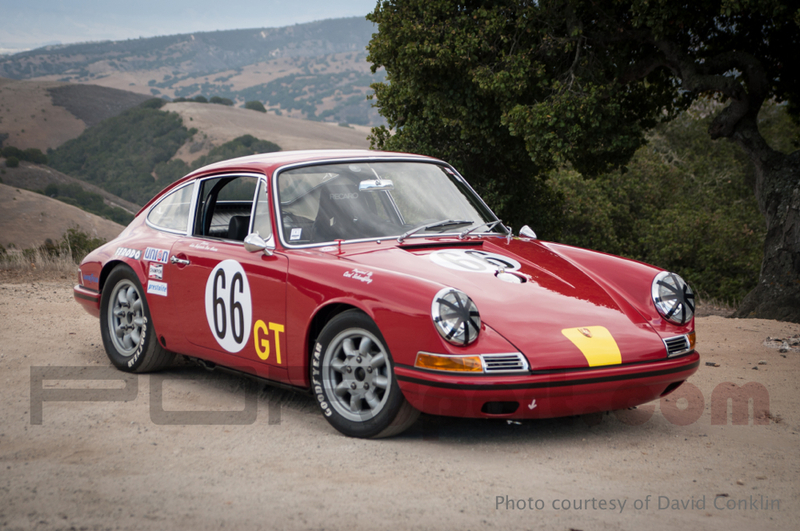 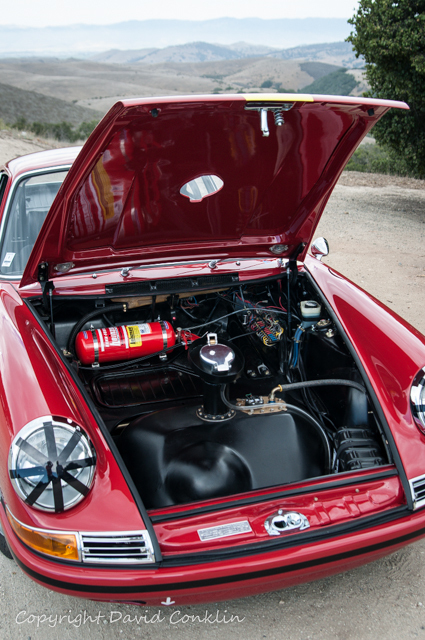 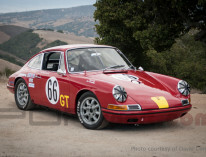 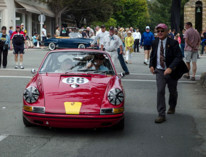 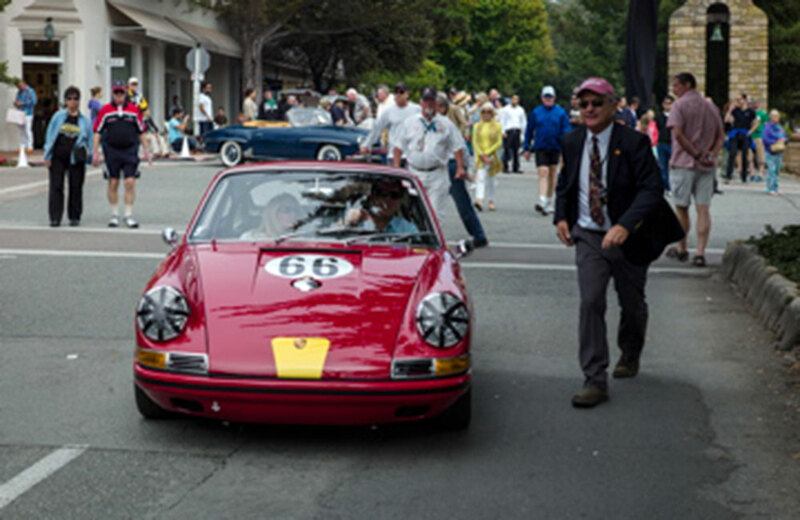 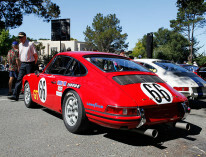 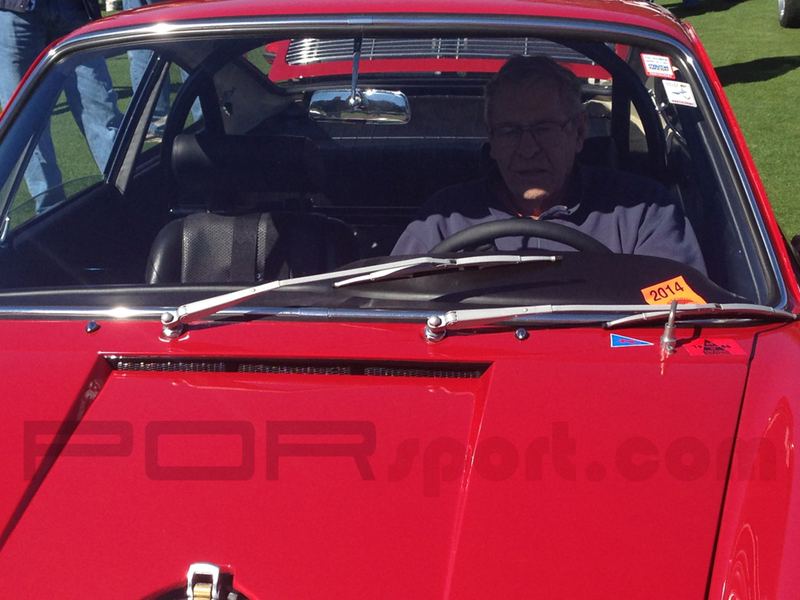 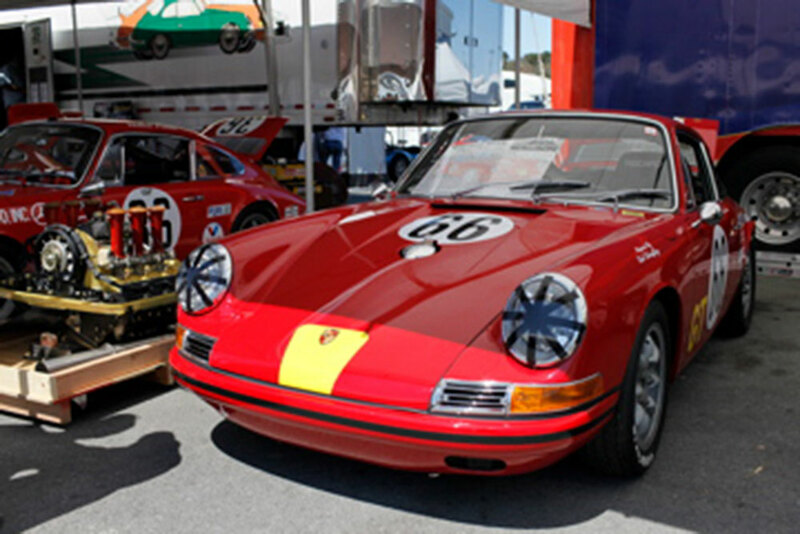 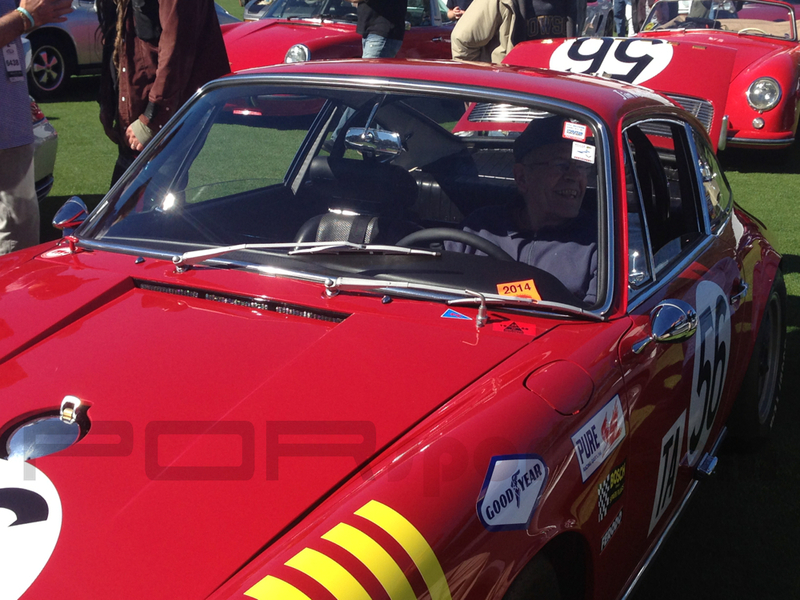 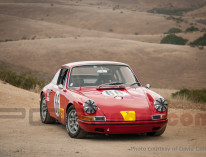 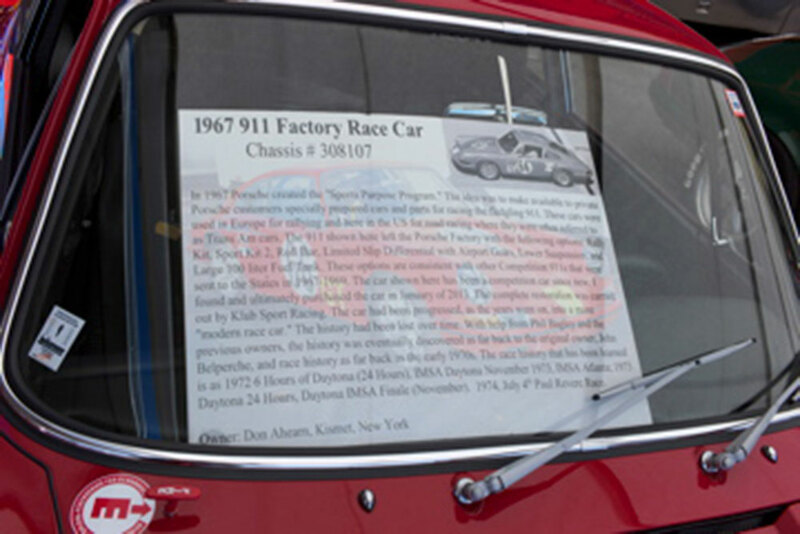 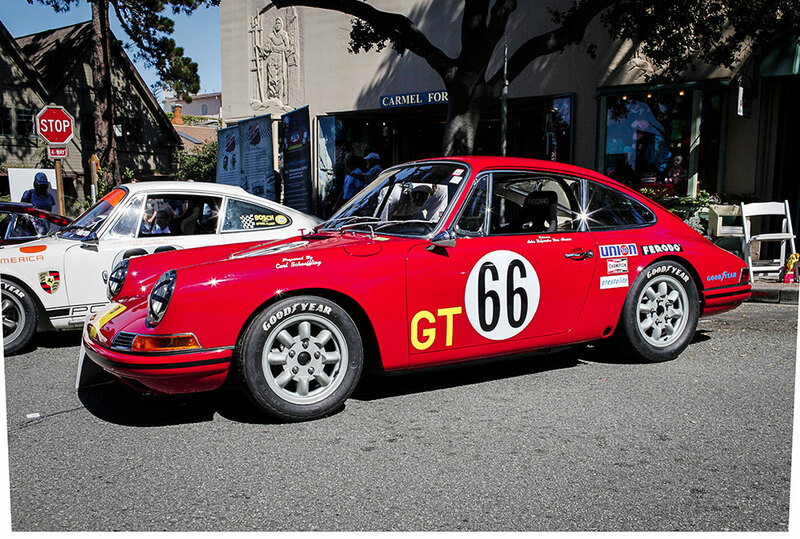 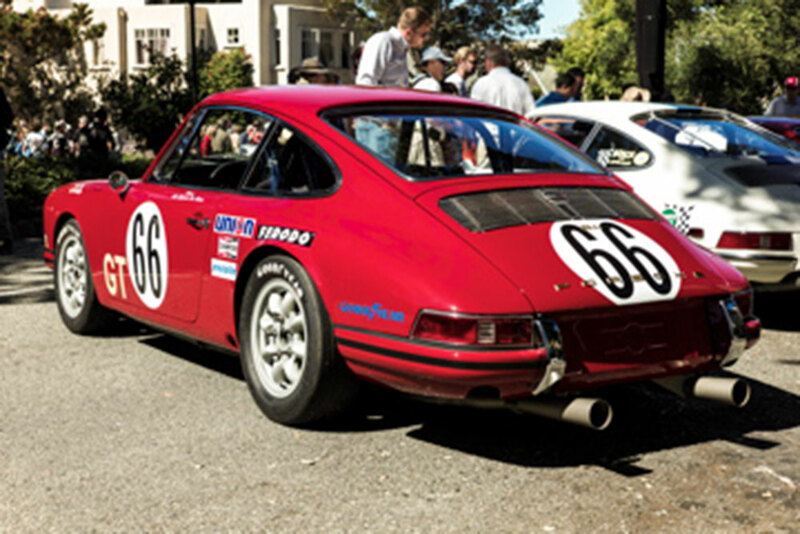 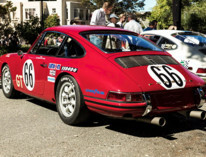 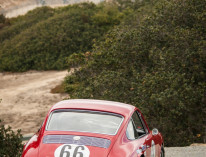 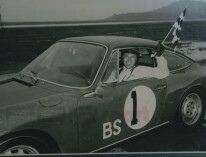 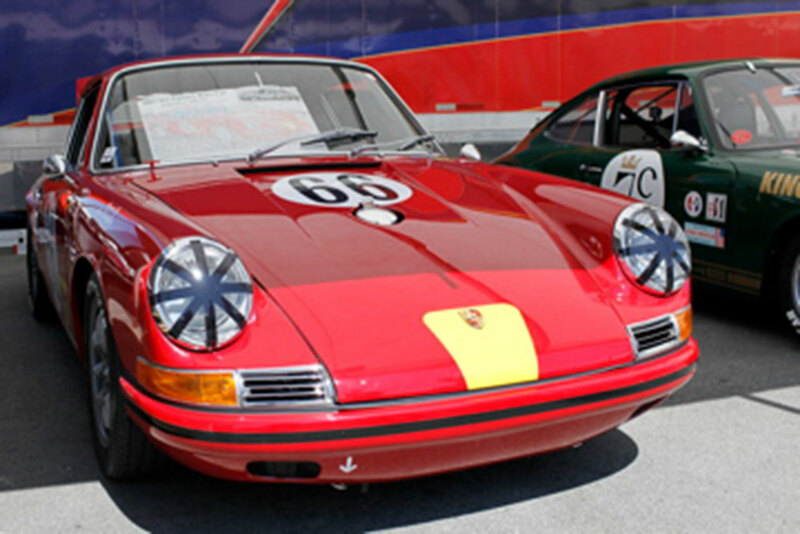 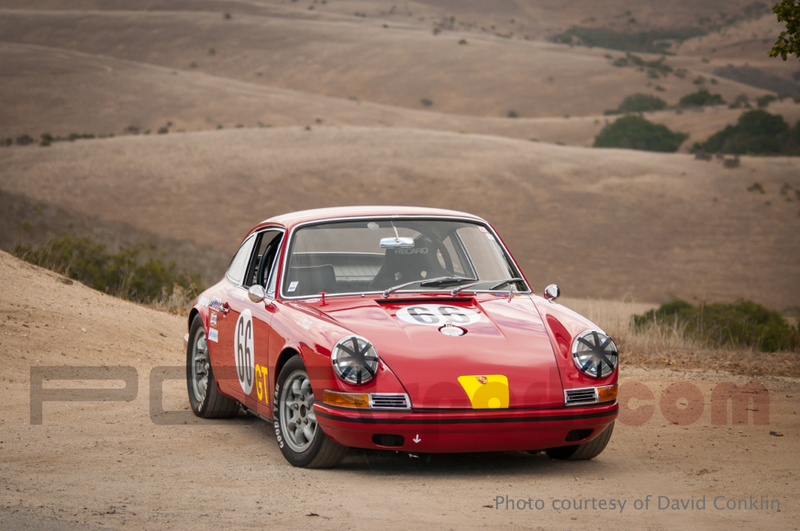 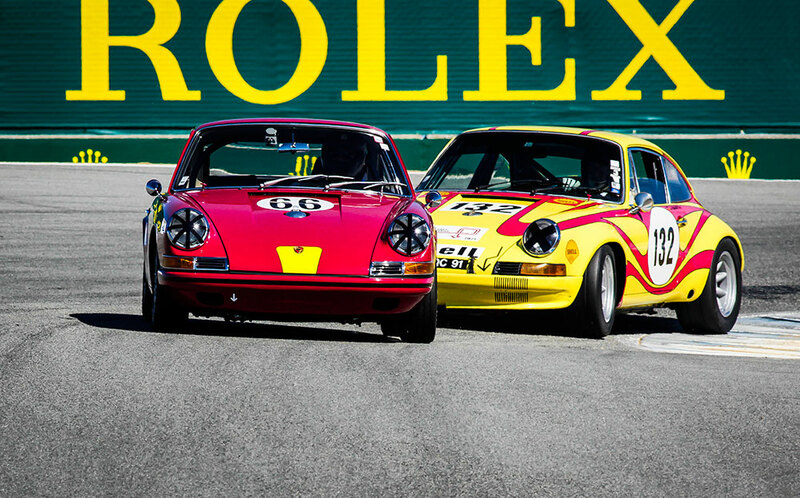 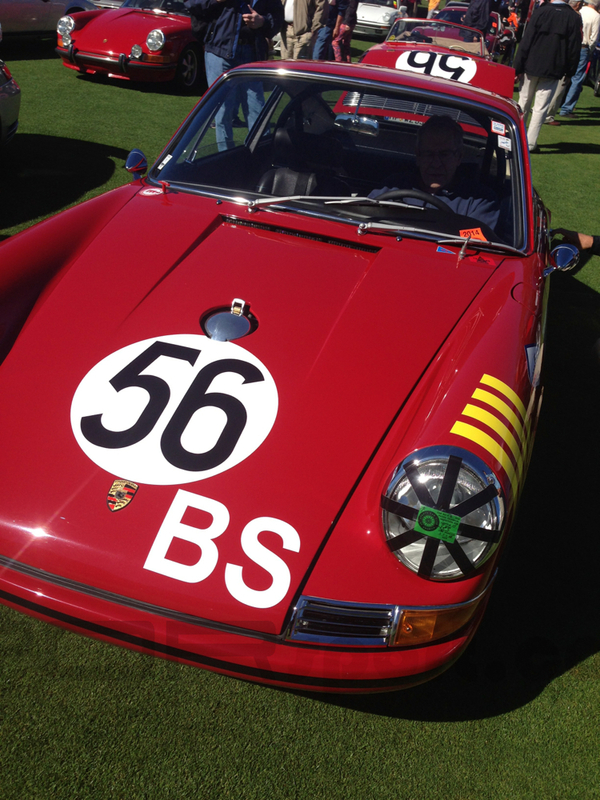 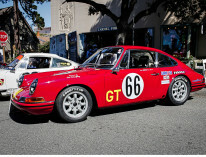 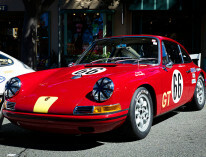 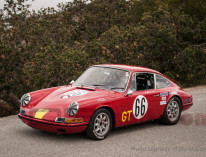 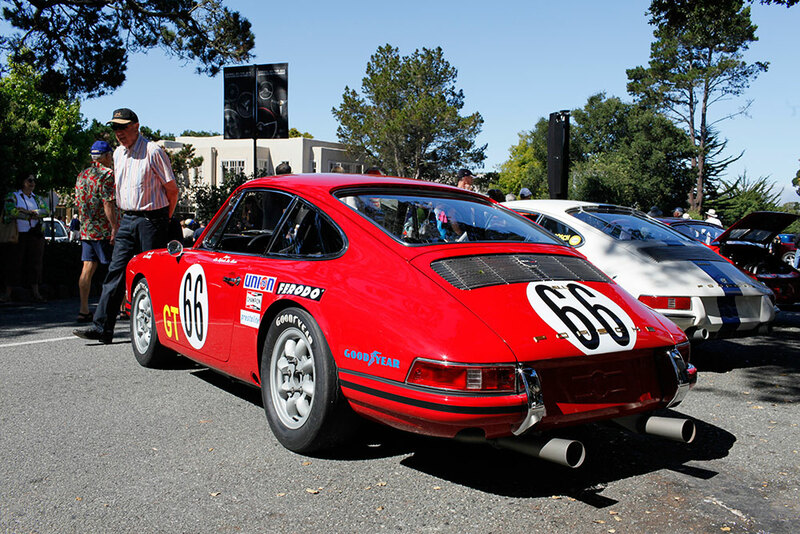 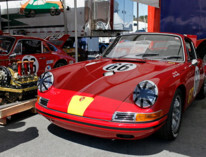 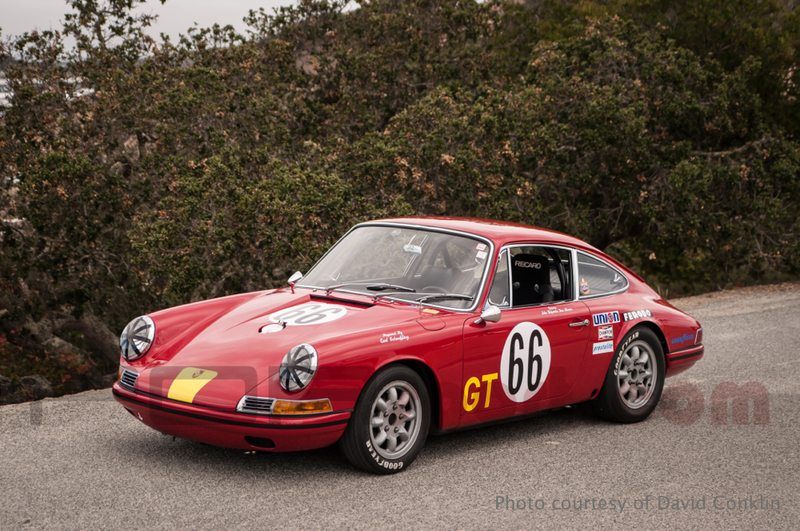 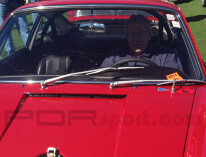 Amazingly the original owner Jim Netterstrom recognized the 911 as his car. 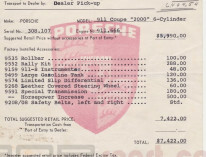 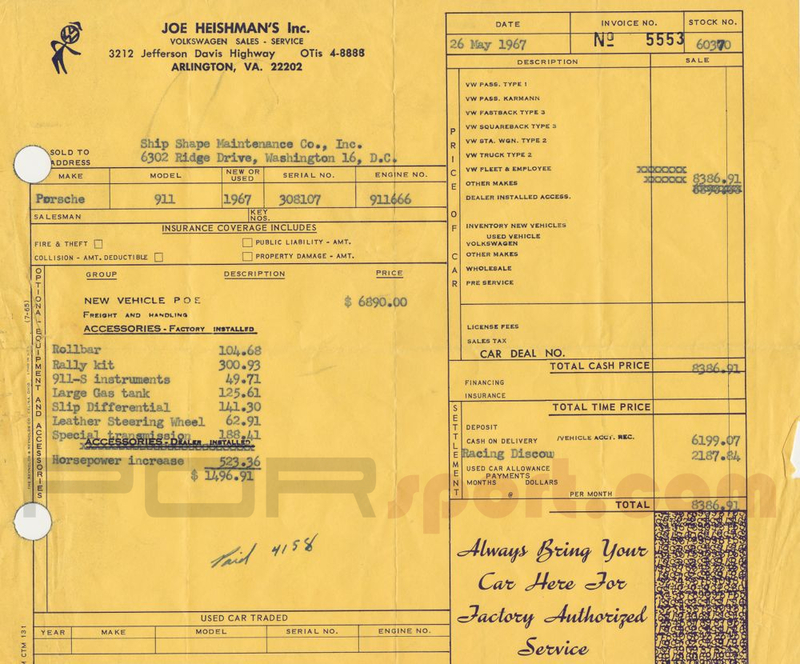 He had saved all of the original paperwork which had the all inportant chassis number. 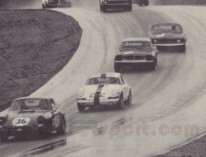 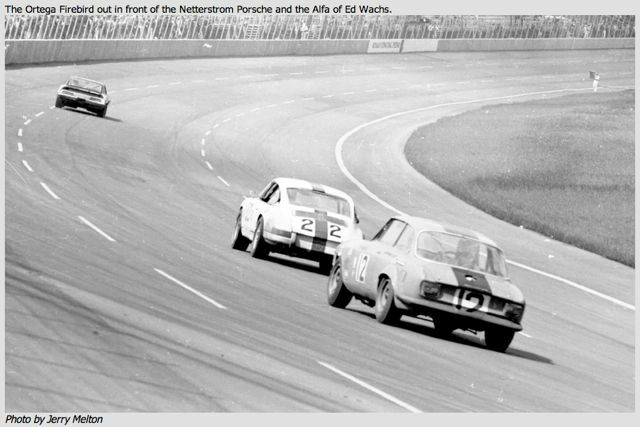 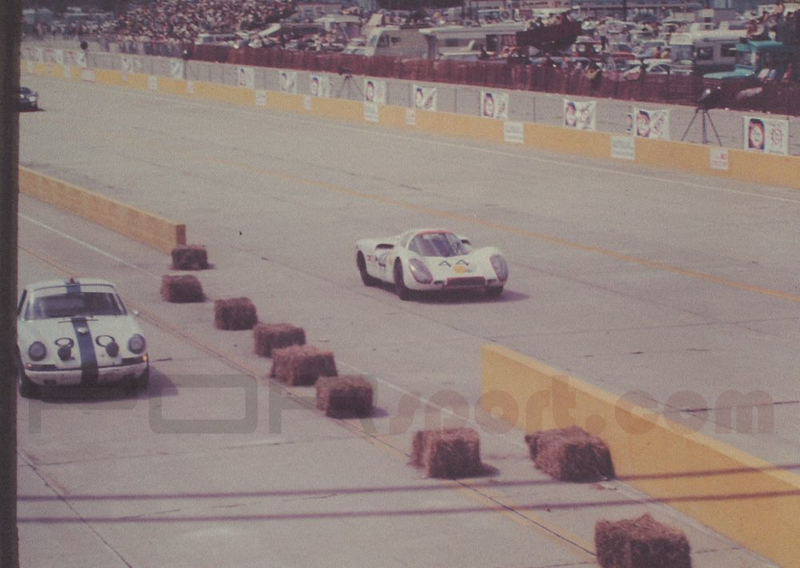 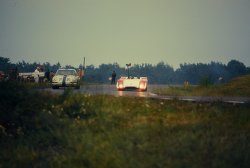 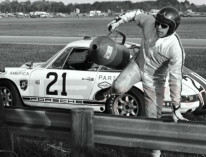 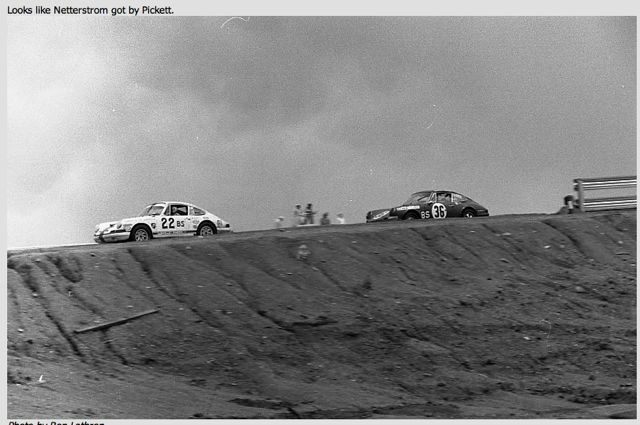 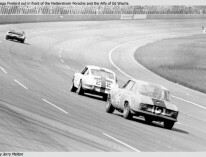 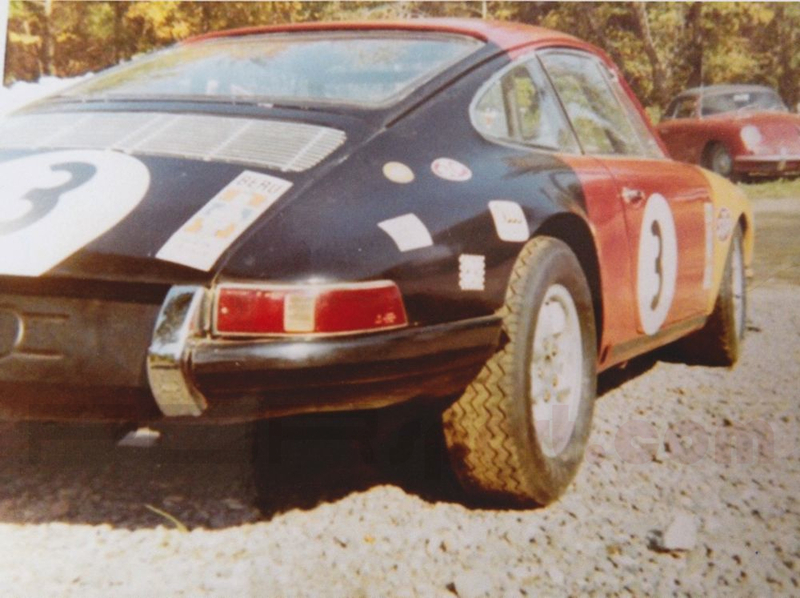 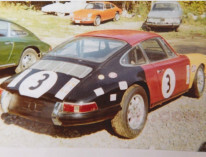 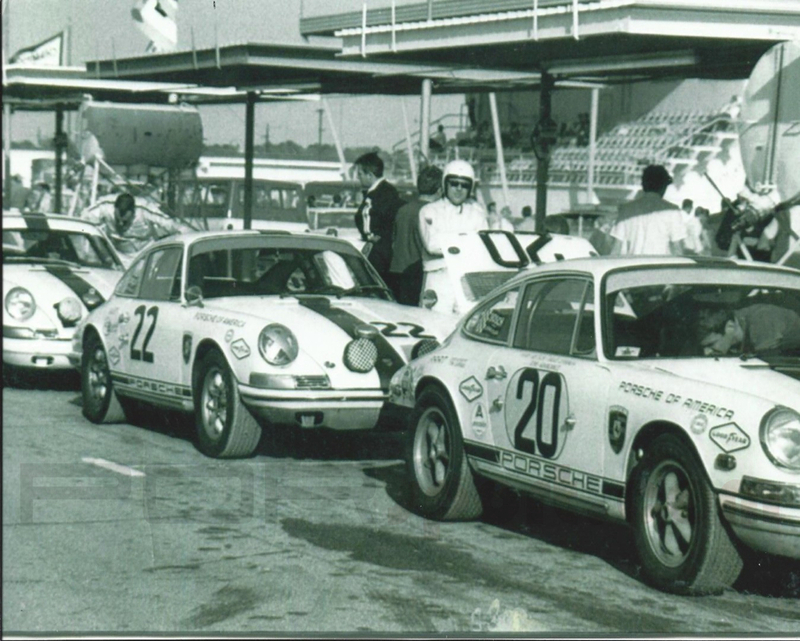 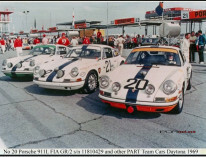 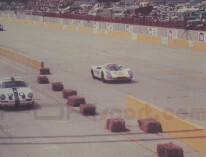 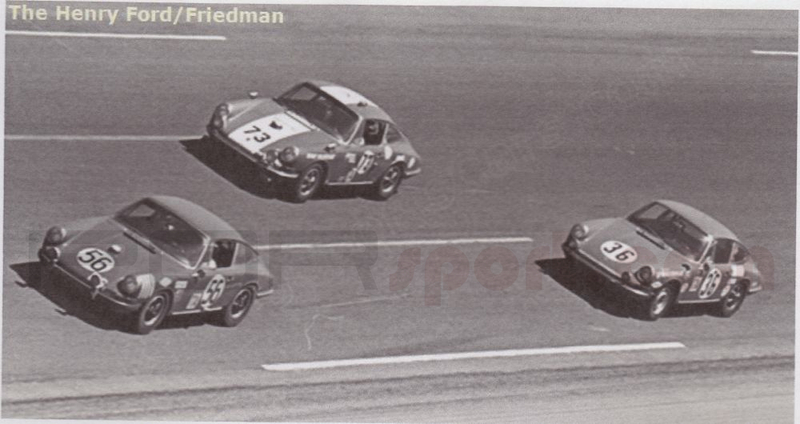 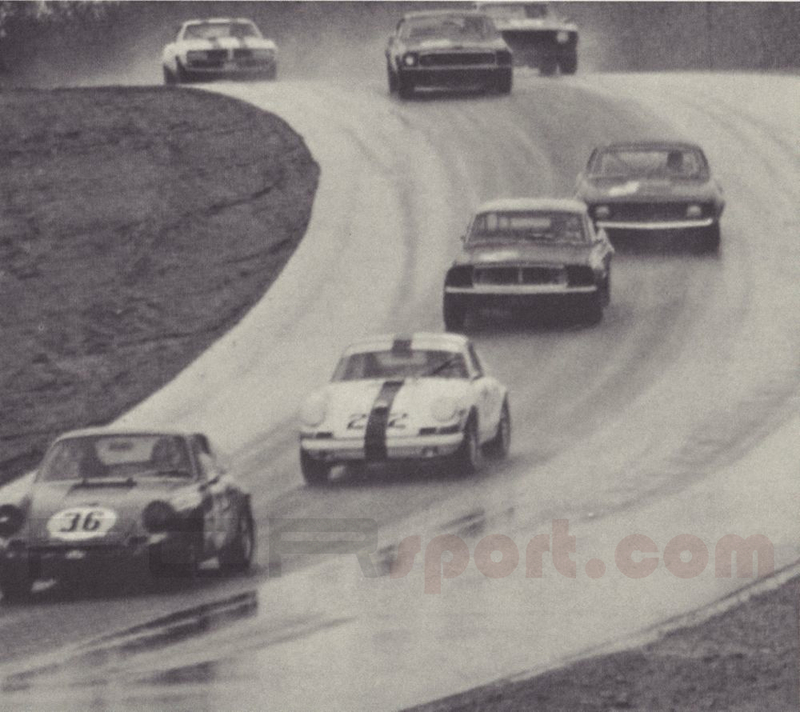 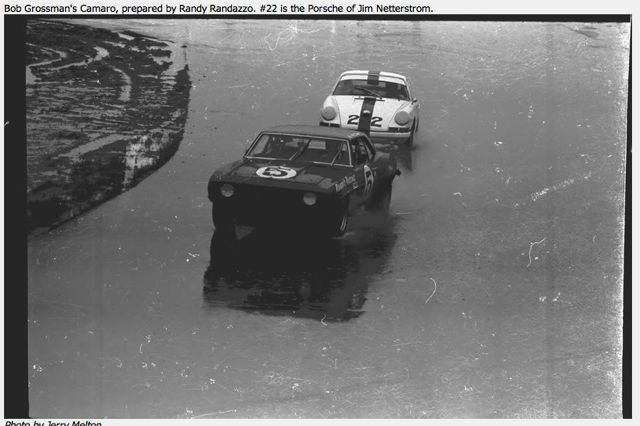 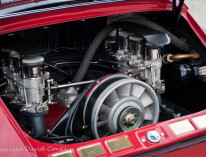 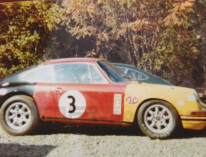 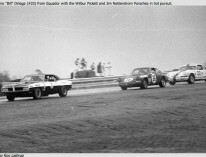 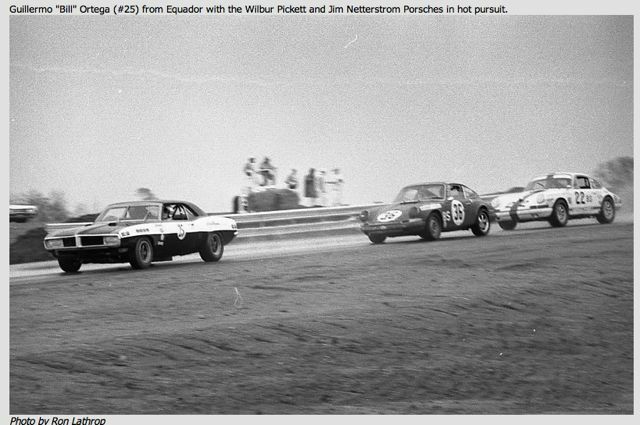 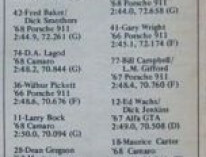 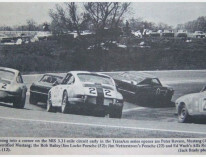 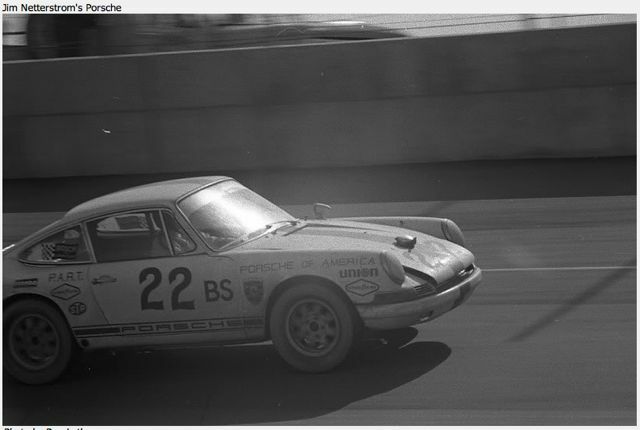 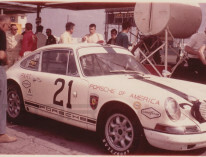 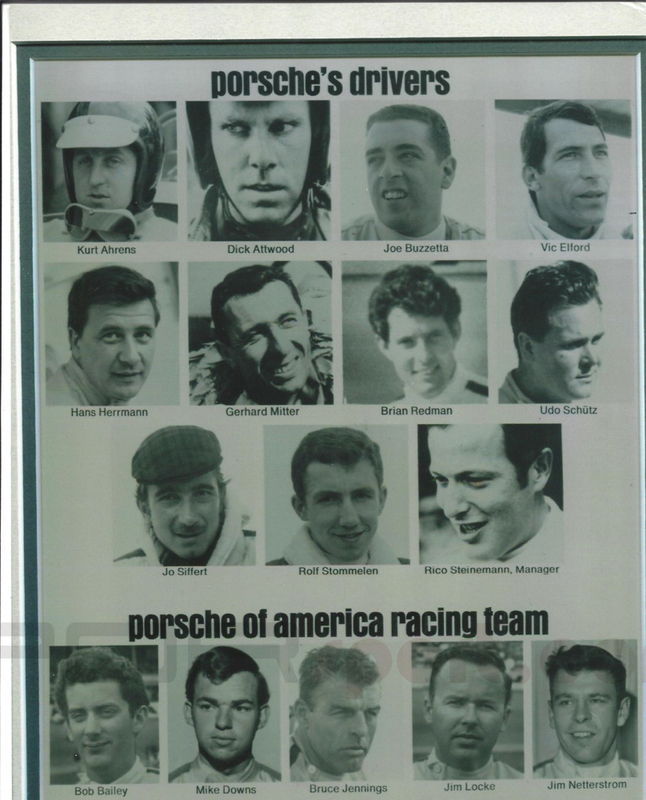 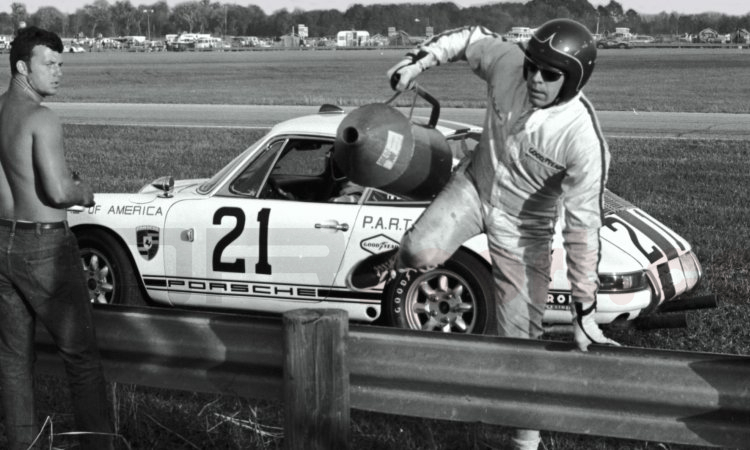 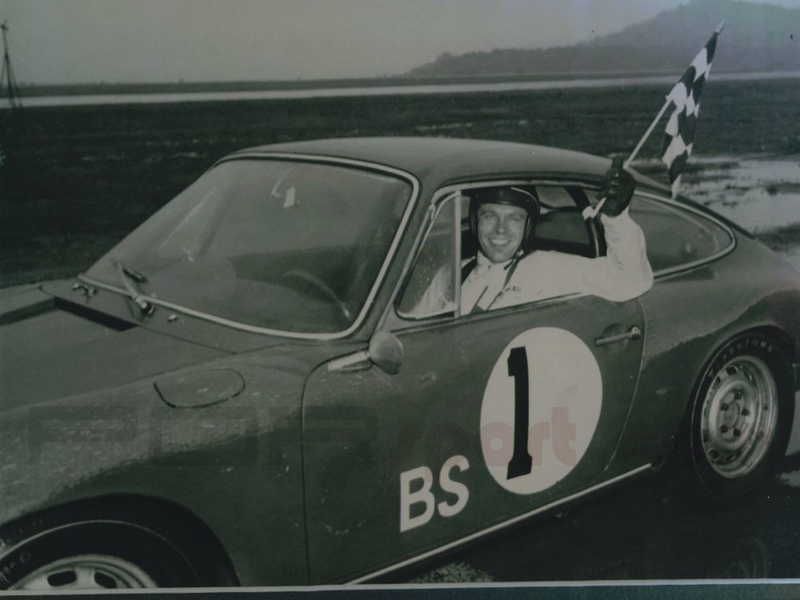 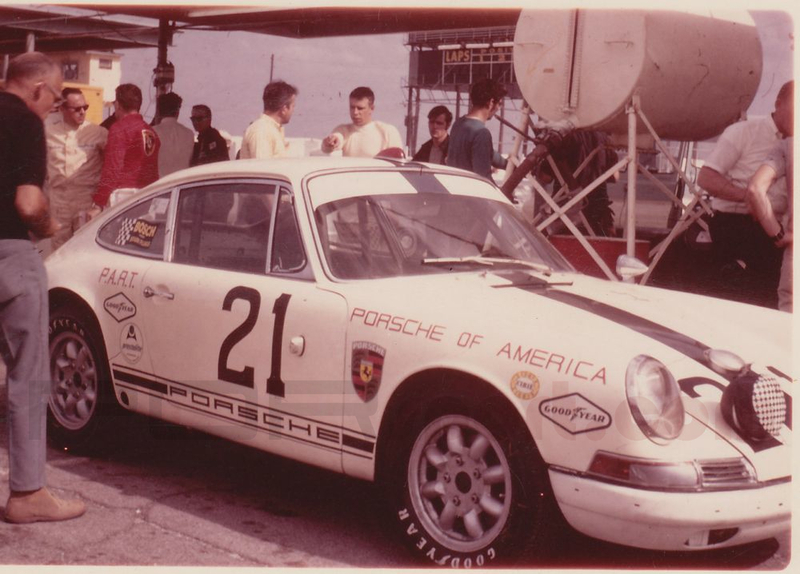 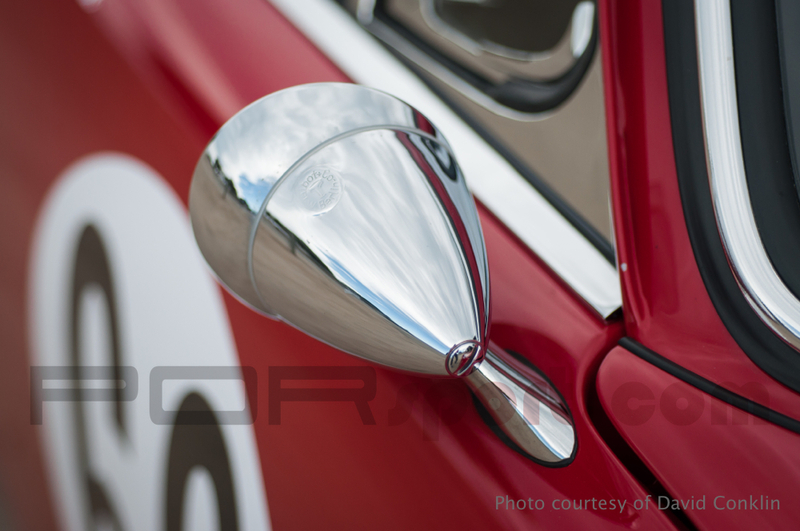 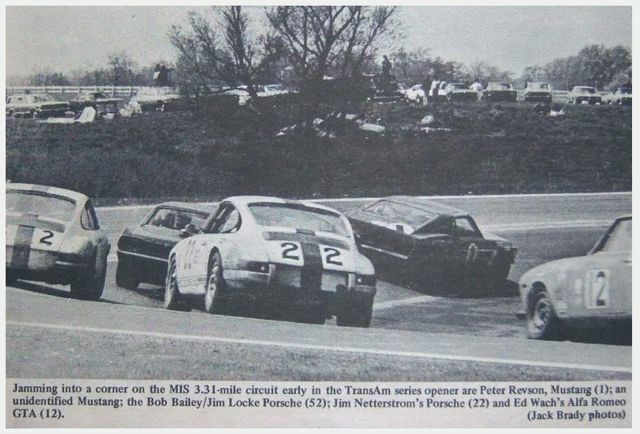 This solved the mystery of the missing #21 Porsche of America Racing Team car, a follow-up article appeared in the May/June issue of Classic Porsche (click here to read). 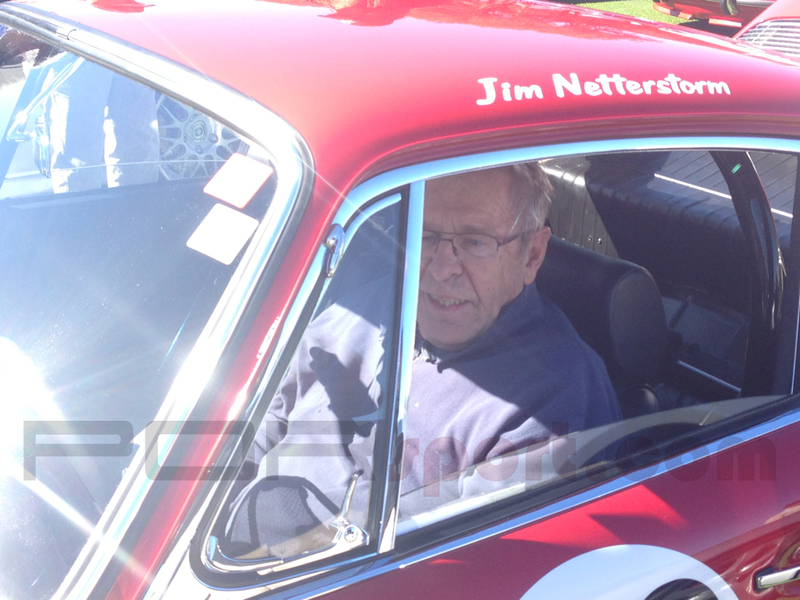 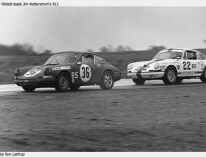 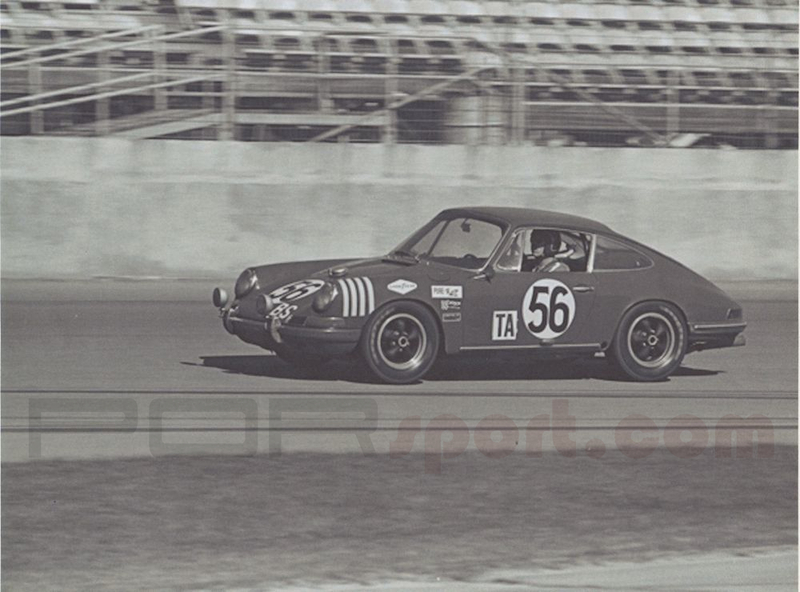 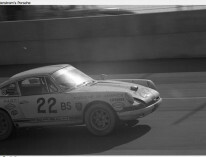 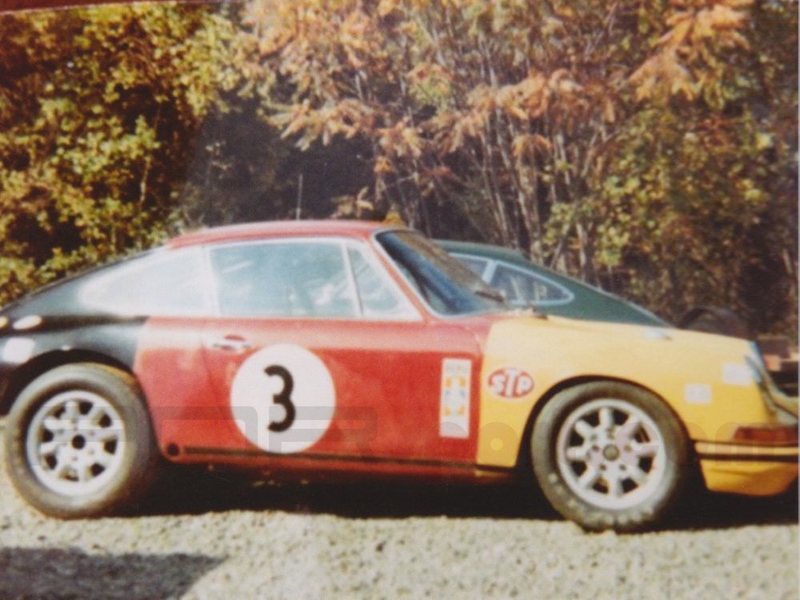 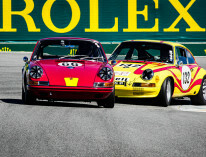 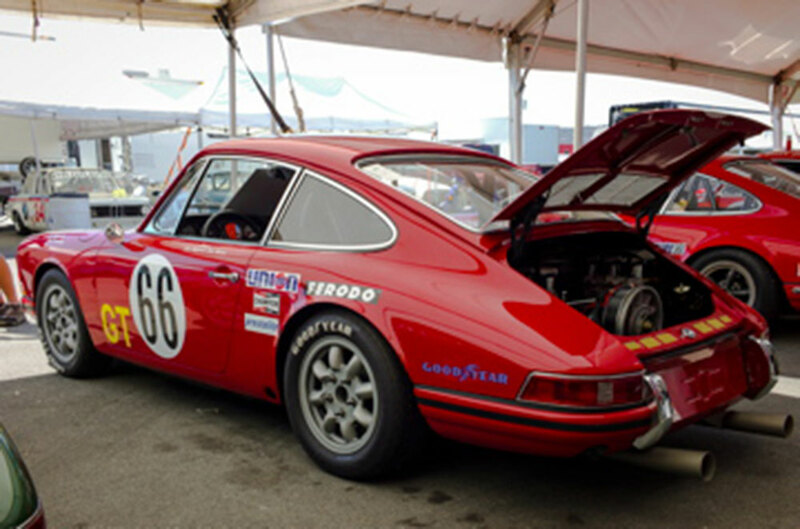 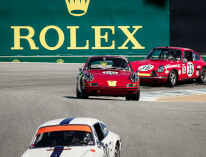 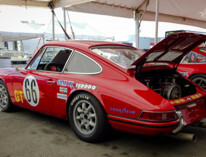 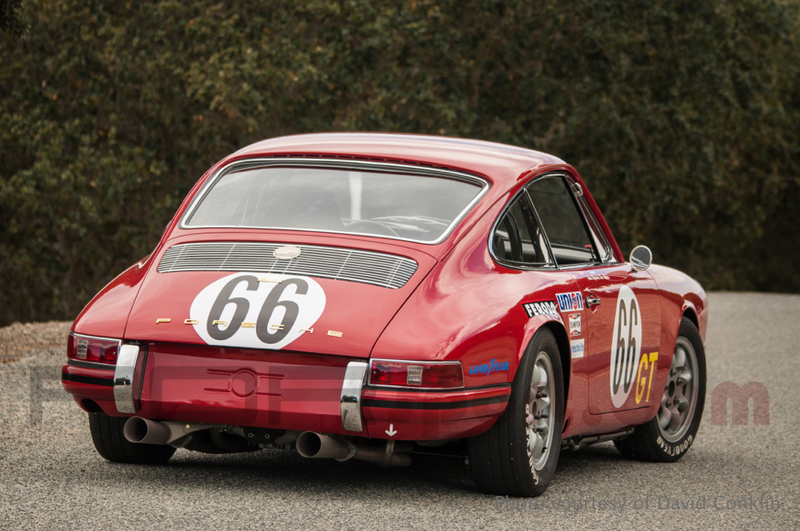 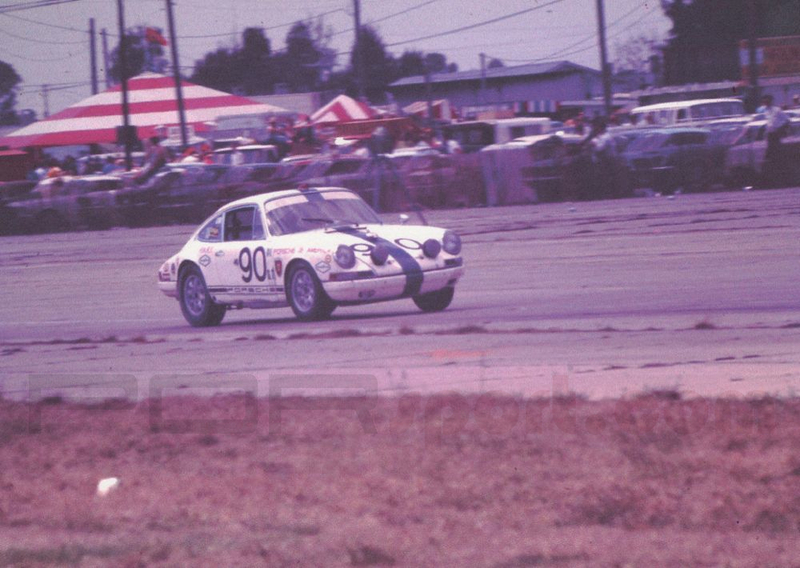 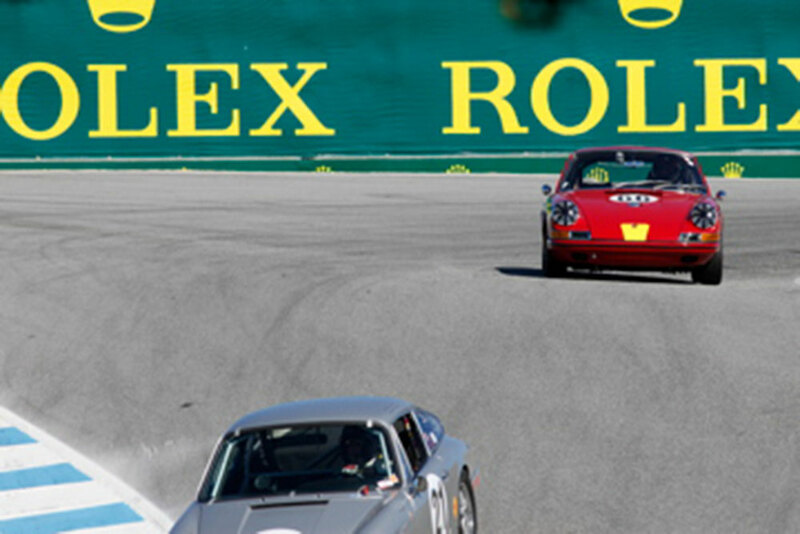 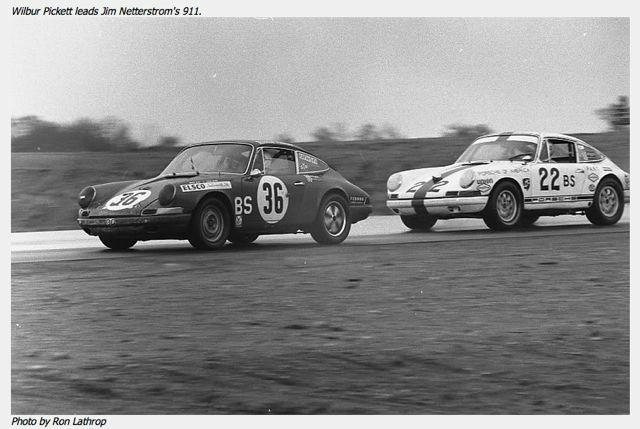 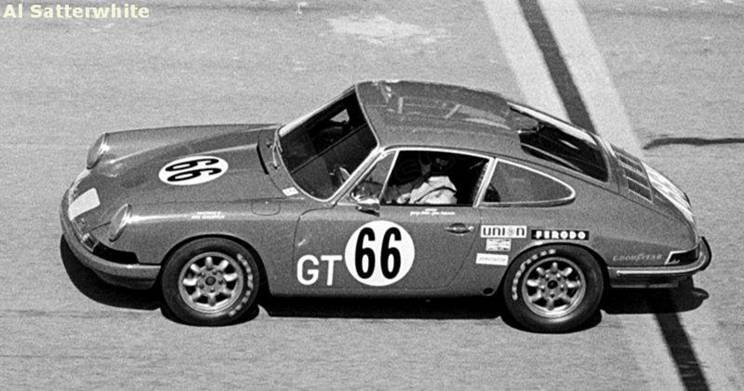 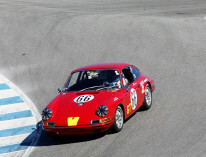 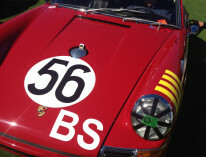 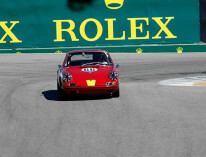 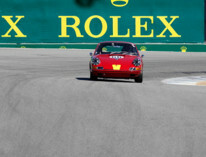 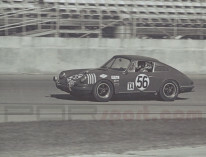 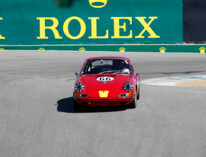 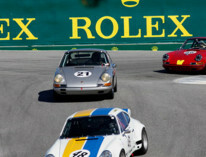 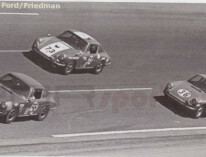 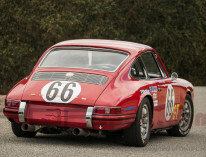 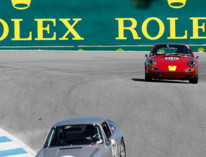 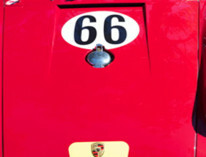 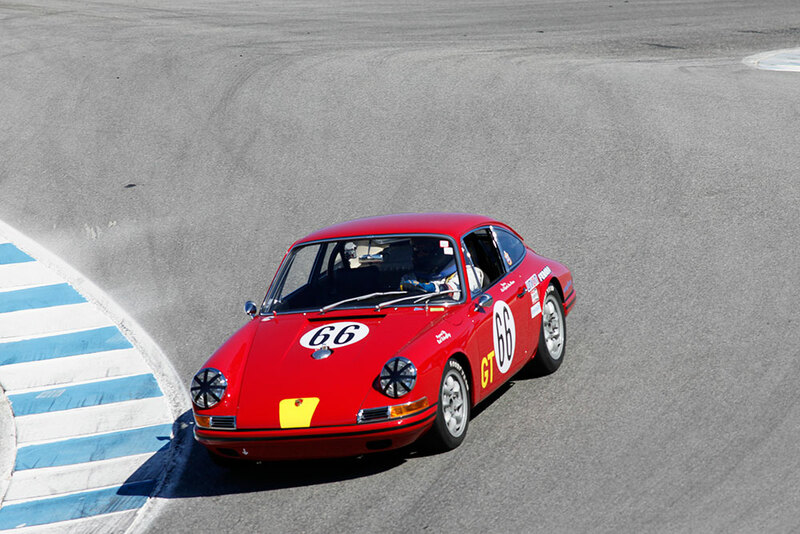 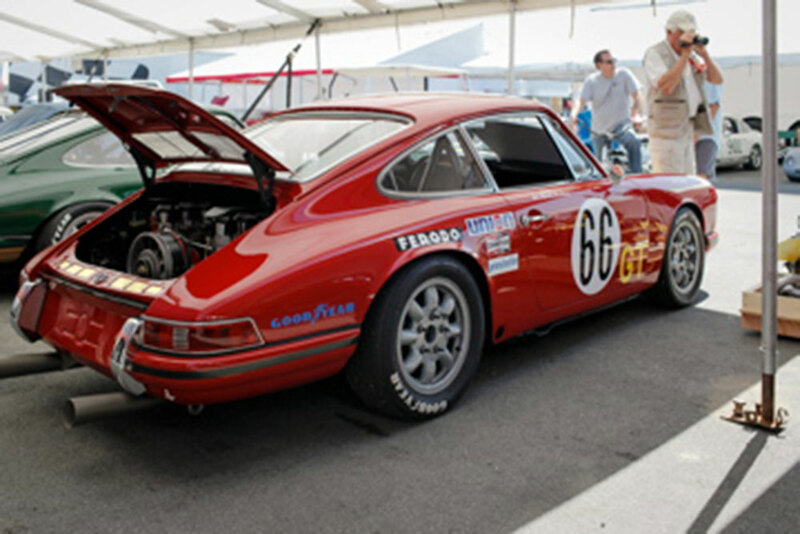 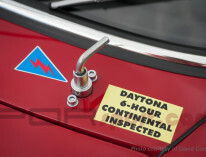 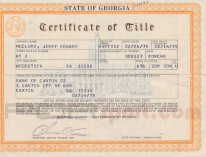 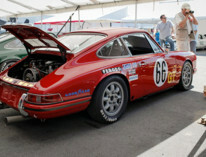 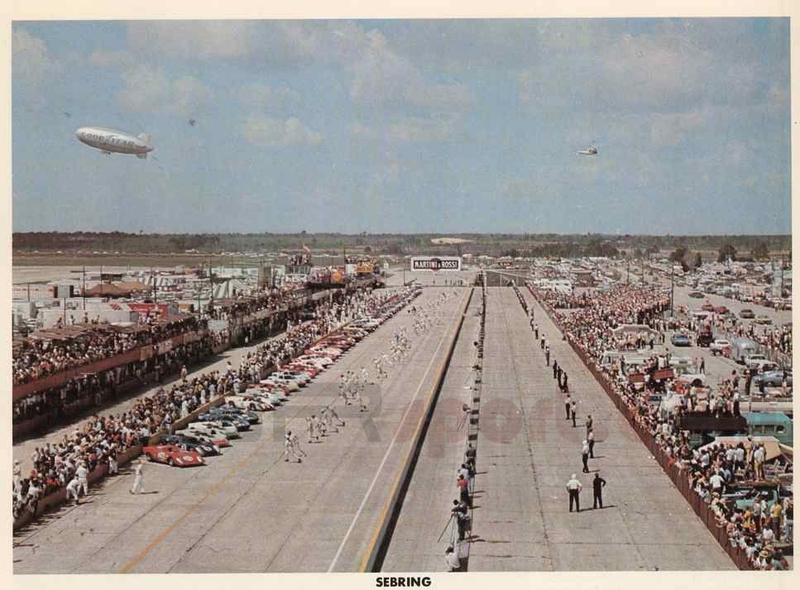 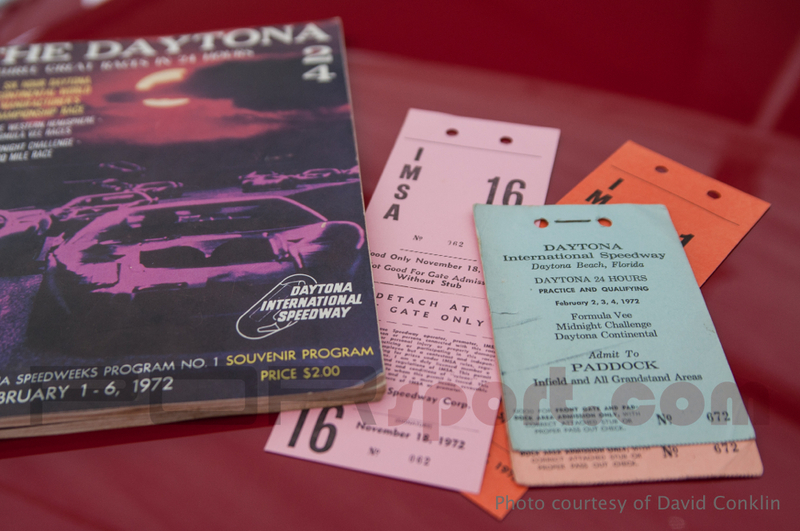 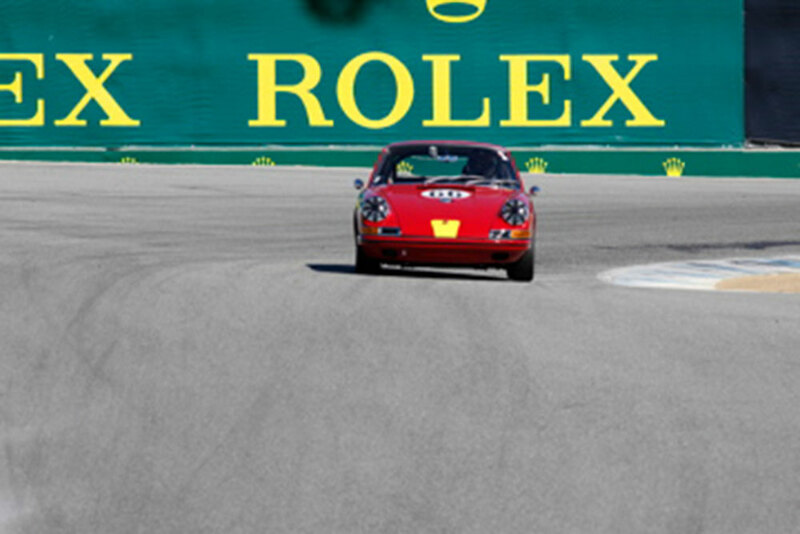 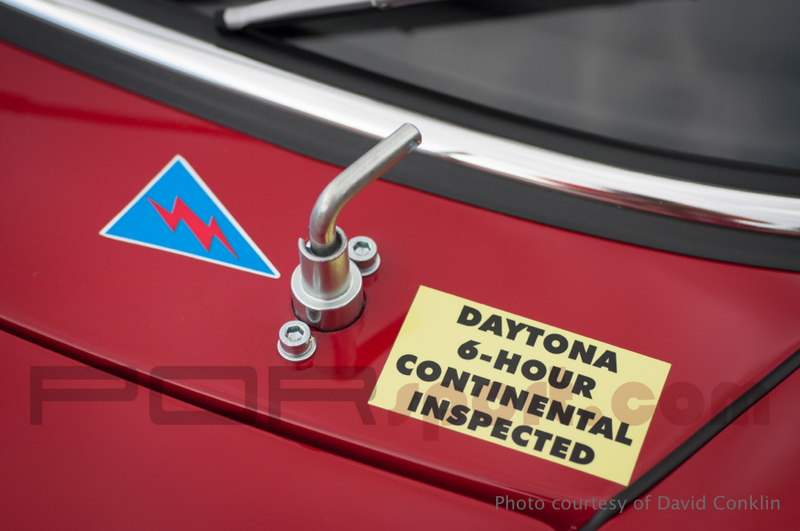 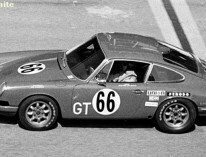 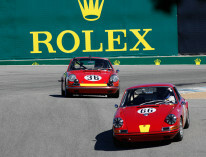 Jim competed with his 911 from new at numerous Daytona 24-hour and Sebring 12-hour races. 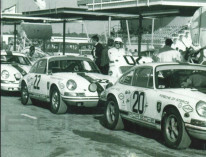 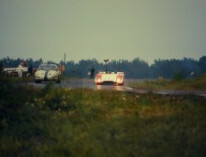 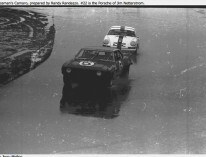 Co drivers included John Kelly and Bruce Jennings.